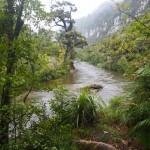 Okarito is just north of Franz Josef on the West Coast of New Zealand. These days it is a sleepy seaside village with just 35 permanent inhabitants. 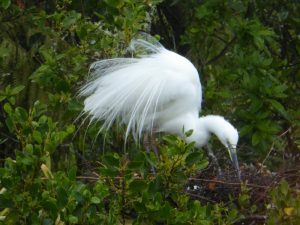 It has known former life as a key area for Maori food gathering, and in 1866 it had 1500 residents during the height of the gold rush.It is the largest unmodified wetland in New Zealand, and a spectacular inland waterway, home to the rare and treasured Kotuku – the white heron. 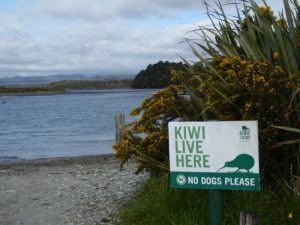 It is a fabulous place to kayak – you can hire them in the village, and signs everywhere remind us that there are kiwi here. 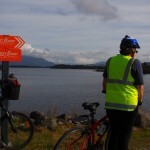 Another local business will take you kiwi spotting in the evenings. There are lots of walks – along the beach, up into the forest, across the salt marshes. 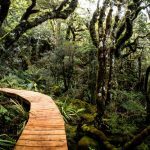 The Okarito Coastal walk is 2.45hrs return. 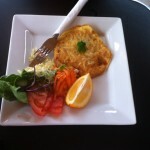 You can even get coffee and cake at the Kayak hire shop. Though that is the end of what is available in the village. It is 20-30 minutes from the main highway, so it you really need a car to get there, or you could hitch hike, just remember there are no shops! The large obelisk is a memorial to the white settlers, unfortunately no mention of local maori. However great story boards about the history are dotted around the settlement, including in the old wharf building. 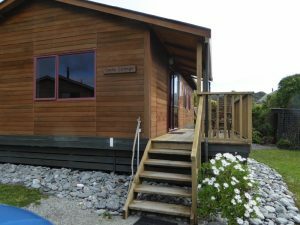 Most accommodation is in the local holiday places – there are 10 available on this website – we stayed in the Cedar Cottage which was sunny and warm (wood fire). Two bedrooms mean you can take friends or family. 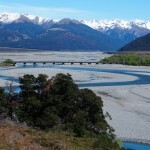 The Okarito Campground is a great option for campervans and campers. It offers self-registration located beside the ablution block. Please fill out a slip and deposit with cash into the honesty box on arrival. Campground managers visit daily to ensure your comfort and to answer any questions you may have. NOTE: no advance bookings for the campground – arriving by late afternoon/early evening to ensure you find a spot in the busy holiday seasons (Dec 25-Jan 15th especially). 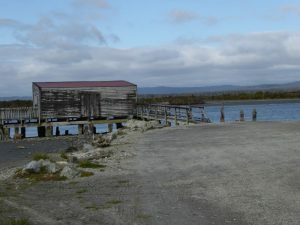 The original school was established in 1867 at the wharf due to the gold rush in Okarito. The current building was erected in 1901 on its present site although parts of the building are thought to date back to the original building. 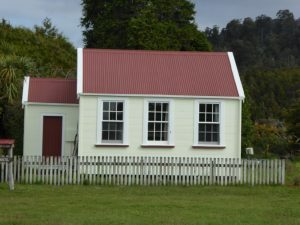 Okarito’s population dwindled through the 20s and 30s and the school eventually closed in 1946. 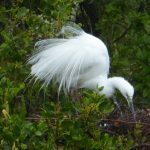 Read my other story about kayaking on the estuary and visiting the White Heron nesting colony – both an absolute must when staying here. When leaving, we decided to drive down to the wharf for a last look at the lagoon. It was low tide, and low and behold two white herons flew in and we watched them fishing for a while before tearing ourselves away.